Tunisian swimmers prepare for a practice. The swimmers dive into the water after the starting whistle. 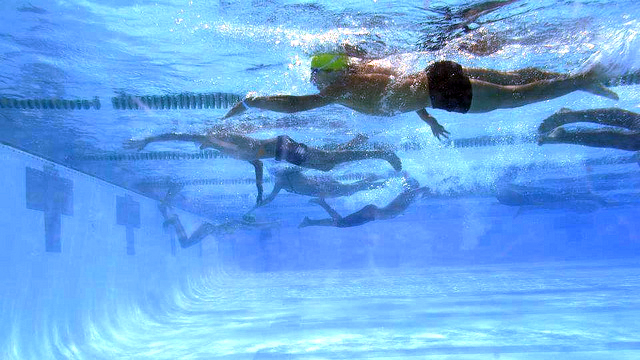 The Tunisian swimmers take part in a competition with their American peers. The group visit Creighton University in Nebraska to use the swimming facilities and learn about college life in America. 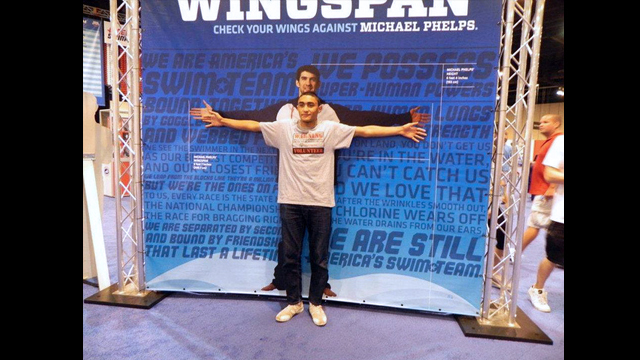 One of the Tunisian participants compares his wingspan to that of Michael Phelps. The Tunisian delegation and Special Olympic athletes pose for a picture after practice. The swimmers dry off after a race. 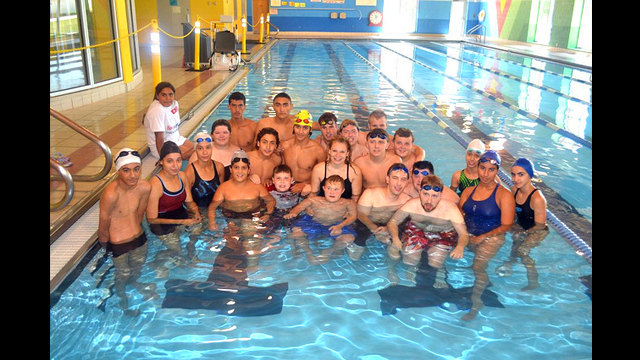 Tunisian participants work with Special Olympics athletes. 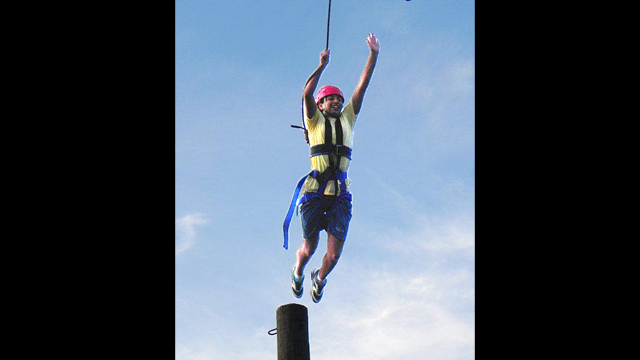 The group of Tunisian athletes participate in team building activities. The Tunisian swimmers intently watch the U.S. Olympic Swimming Trials in Omaha, Nebraska. 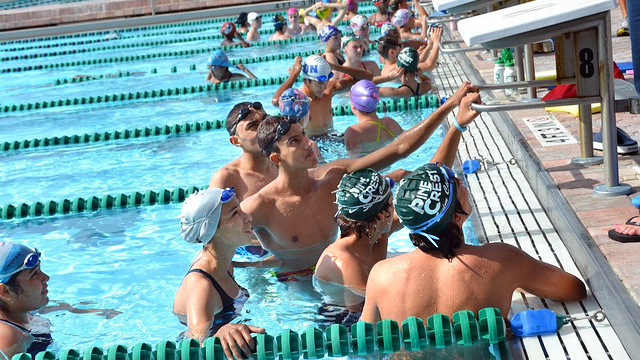 Partnering with USA Swimming, the U.S. State Department brought 13 athletes—12 youth and one coach—to the U.S. for a swimming-focused program from June 26 to July 9. 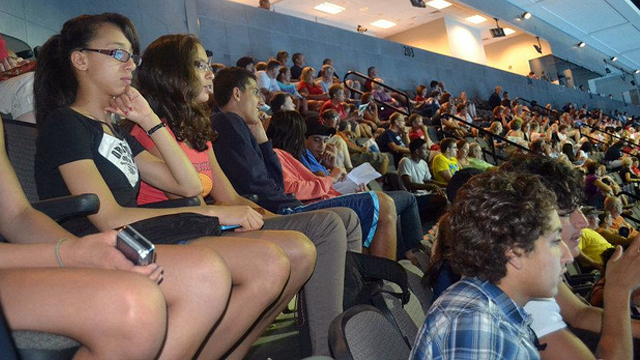 During the first half of their visit, participants had an opportunity to attend the 2012 USA Olympics Swimming Trials in Omaha, Nebraska. The delegation also participated in a Special Olympics session and trained with their American counterparts. 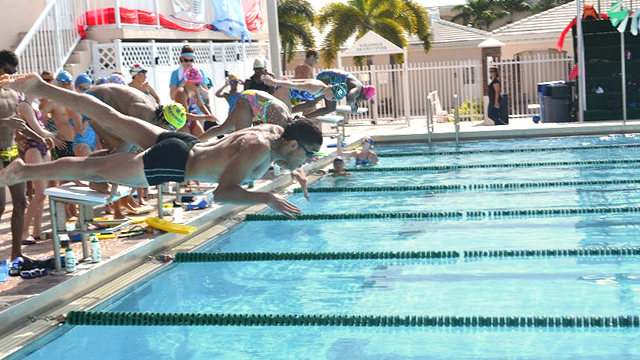 The final part of the program took place in Fort Lauderdale, Florida where the delegation took part in a series of intensive swimming clinics, strength and conditioning trainings, and educational summer camp programs.